In today’s #weddingwednesday post, I’m collaborating with my friends at Azazie, a leading fashion bridal party online store. They are sharing some awesome tips for remedying stressful situations that can arise on a wedding day. Hopefully you will never have to deal with any of these events, but it’s always better to be prepared! Read on from Azazie! 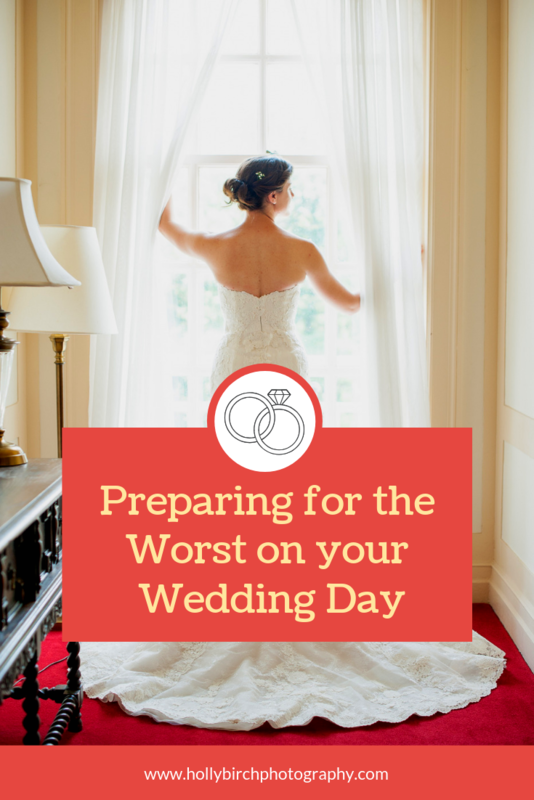 Prepare for the Worst - All Unfortunate Events that Might Happen During your Wedding Day! Weddings have gained the reputation of being the best day of someone’s life. While they are certainly a time to be celebrated and revered, they’re also a major event, often with a high price tag, lots of guests, and a lot of moving parts. Yes, things go wrong during weddings, sometimes no matter how well prepared a couple may be. However, the show must go on! Here’s how to prepare for the worst and handle the unfortunate events that might happen during your special day. Oil or grease - do not use water! Apply baby powder or cornstarch and let it sit for 15 minutes before wiping away. Repeat a few times as needed. See to the rest with a dab of rubbing alcohol or hand sanitizer. This will greatly minimize the visibility of the stain. Red wine - believe it or not, white wine can help pull the red wine from the fabric. Follow up with baking soda and warm water, wiping toward the center of the stain. Makeup - use a makeup remover wipe or cream and rub into the area. Let it set, then remove it with a damp cloth before soaking up the residue with baby powder or cornstarch. Try to mitigate stains by eating and applying makeup before putting the dress on for the ceremony. When planning an outdoor wedding, you should always be prepared for bad weather. While it can be disappointing, having a plan in place to move to an indoor location or tent is ideal. Alternatively, invest in black or clear umbrellas just in case. While the rain may seem disappointing at first, there’s nothing more romantic than rainy wedding day pictures. Losing the rings can be extremely stressful. However, the rings aren’t a legal requirement for a wedding. Don’t waste too much time looking for the rings; have someone else search while you proceed with the events. In a pinch, ask to borrow your parents’ rings for a solution that still offers intimacy and symbolism. From embarrassing speeches to drunk uncles to uninvited plus one guests, the actions of others is not something within your control. The best you can do when these issues arise is take a breath and not let it ruin your day, delegating someone else to deal with the situation. You aren’t obligated to provide a meal to an unwanted guest or even give them a seat with their date. Nor do you have to deal with someone else’s emotional meltdown. Have your planner or a designated bridesmaid or groomsmen handle the situation discreetly. Remember, all that matters on your wedding day is the celebration of your union with your significant other. Don’t sweat the small stuff; it all makes for a great story to tell your grandchildren. And remember, your dream honeymoon is right around the corner - you will have deserved relaxation soon! Older PostWhat do I do with my digital images?